My Three Favourite Bikes from Sea Otter - April 18, 2019, 11:44 a.m. I am on the GG FB page and MTBR Sub-Forum. I did not make up anything. People are buying multiple GGs. I'm a bit blown away by how many bikes people buy, but it's not my money. I've considered getting one of their 275er bikes and I have a 29er at the moment. 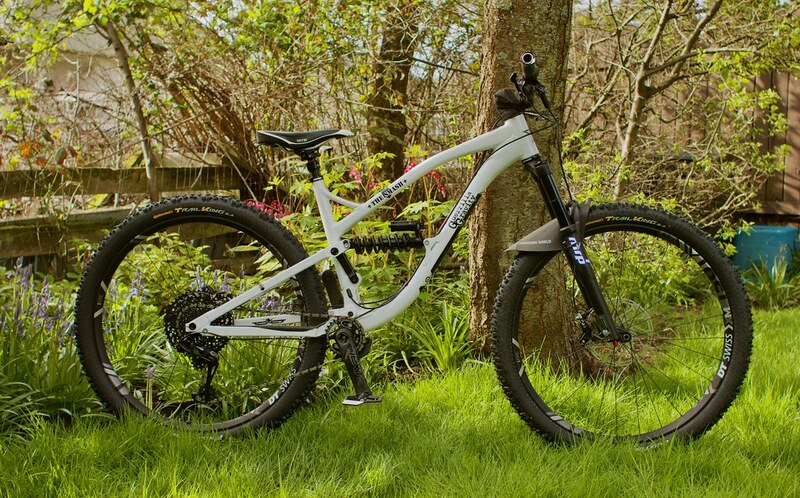 In theory I could swap all sorts of parts across to make the 29er a 275er, but personally I'd rather have a second bike that's ready to roll with a different build. I've also considered getting their hardtail Pedalhead. Unfortunately my budget is not unlimited or I would have placed that order already. Every single bike company whose bikes I have had that I have loved and kept for years [I'm not a bike flipper] have had some instances of manufacturing issues in their history. As long as the company stands behind the product and solves the issue that's what matters to me. In every instance that I am aware of that a customer had an issue GG took care of them. So I had no concern when I ordered my Smash or when we ordered a carbon Smash for my GF. A buddy just ordered a carbon Trail Pistol. I expect none of us will have a problem, but if we do we'll call up GG and it'll be sorted ASAP. The GG customer service is great, but the real motivation for me to buy another GG is that my Smash is the most fun mountain bike I have owned so if I am going to spend more $$ on a future bike I'm definitely going to be thinking about another GG. 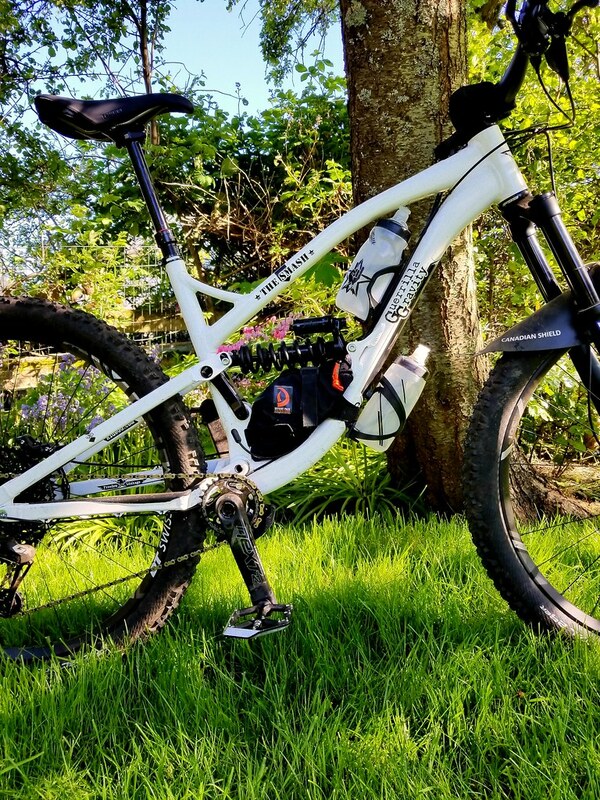 My Three Favourite Bikes from Sea Otter - April 18, 2019, 10:59 a.m.
GG had a handful of problems which they resolved with the affected customers. The other 99.9% of the people had no issues and the bikes are super fun to ride. That's why you see so many people buying their 2nd or 3rd or 4th GG bike. My Three Favourite Bikes from Sea Otter - April 18, 2019, 6:01 a.m. Yes. I have to laugh at all the crazy effort companies/riders take to hide 18" sections of housing/hose. At least GG's method on the carbon bikes is minimal hassle for the rider. My Three Favourite Bikes from Sea Otter - April 18, 2019, 6 a.m.
My GF has a 2019 GG Smash on order. She's waiting for her smaller frame [Size 2] to start popping out of the molds. Hopefully May. I've got a 2018 GG Smash which I love. Great bikes regardless of where they are made and out of what material, but when you factor in the build kit options [anything you want], frame adjustment/modulartity and the fact they are made in the US it's really impressive. Zipp 3Zero Moto Wheels from SRAM (in the flesh) - April 17, 2019, 11 a.m. I've run carbon and AL rims on two very similar bikes on the same trails, same tires, same pressure, same rider, etc... The AL rim were KIA'd due to dents and the carbon rims are going strong. Cost of Light Bicycle carbon rims was double that of the AL rims. So within a couple years of use they'd be cost neutral. Carbon rims were lighter and no issues with them being too stiff. Currently my main bike has AL rims because that's what came with it. I'm going to ride the heck out of them. If I was building up new rims I'd probably go with another set of Light Bicycle carbon hoops again. Five Ten Impact Pro Shoe Review - April 11, 2019, 7:44 a.m. Thanks. The main thing stopping me from jumping on the RCs is the fact I know I can order 5.10s and get a shoe that fits well 100% of the time. The first pair of RCs will be a gamble. OTOH once I am past the first pair [assuming I like them] it would be smooth sailing afterwards. Five Ten Impact Pro Shoe Review - April 9, 2019, 7:29 a.m.
FWIW - I have a pair of the 2009 Impact Lows that saw a few years of use before I moved to lighter/less bulky Freeriders. I pulled them down off the shelf and just started wearing them as day to day shoes to use them up. Super comfy for all day wear pounding around on hard surfaces and unlike newer 5.10s no issues with the shoes just falling apart on me. 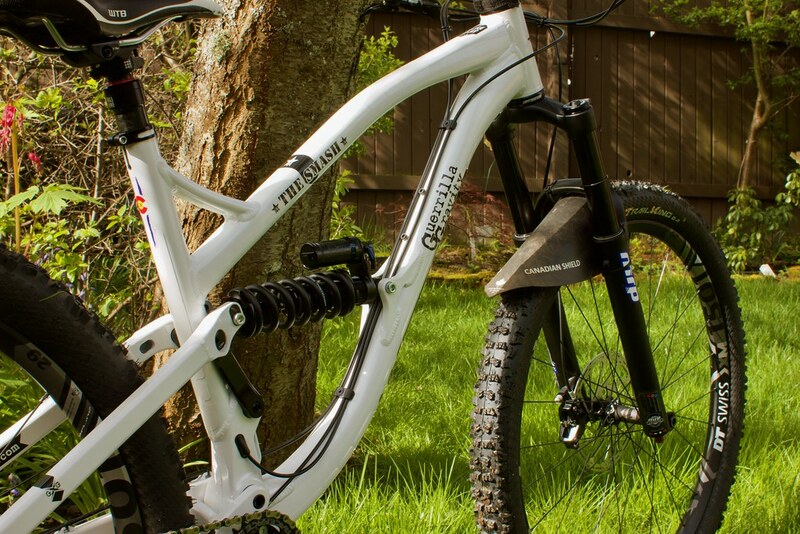 Reports over at MTBR say the new version of the Impact Lows are a pale comparison to this 2009 model in build quality. Too bad as they were the shoe that got me hooked on 5.10 and flat pedals after decades clipped in. Five Ten Impact Pro Shoe Review - April 9, 2019, 6:37 a.m. I'll try a pair of the Ride Concepts shoes, but I am waiting for half-sizes to be available. 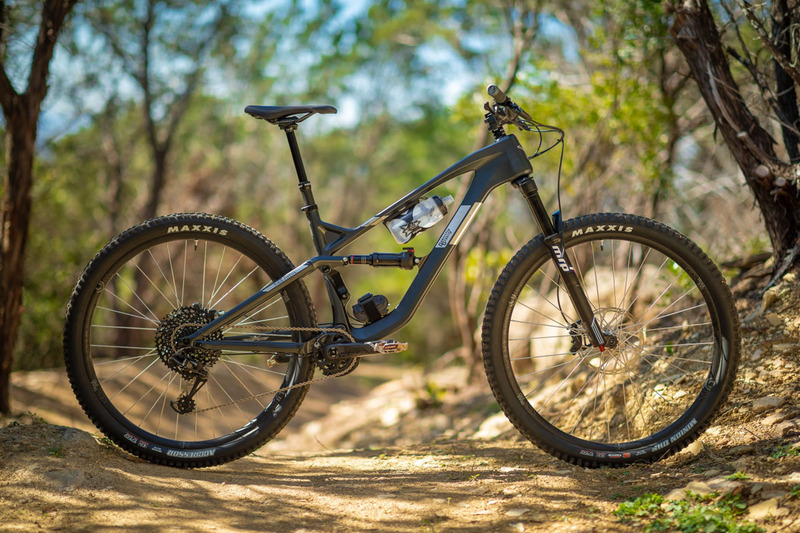 2019 Yeti SB 150 Reviewed - April 5, 2019, 7:50 p.m. Introducing the Forbidden Bikes Druid - April 3, 2019, 11:18 a.m.
What is the max tire clearance on the rear? If it varies by frame size I'm interested in a large. Re: long travel wagon wheelers - April 22, 2019, 7:51 a.m. I just dusted off my GG Smash [metal frame] after riding my older MTB in the winter. I'm trying out a -1 deg headset this season which is similar to the front end geo of the new carbon Smash. Climbs great and descends like a champ. It's a nice all rounder with enough travel to tackle anything I have the courage to throw myself down without punishing me on big climbs and all day rides. We ordered up a carbon Smash for my GF so I'll get to see the new design. I have no plans to get rid of my metal bike or upgrade at this point. It just works too damn well and it's paid for! For those who don't like the shock placement I have to disagree. Not on aesthetic grounds, but because I can get a waterbottle above the shock and then a decent sized frame bag below the shock so I can ride packless and still help fix other people's broken down rigs on the trail. My frame has a 2nd bottle mount under the DT so I can skip the pack on 99% of my rides which I love. Re: Bikes you would buy if only they held a bottle. - Jan. 1, 2019, 9:41 a.m.
Re: Actual difference in stiffness between Next SL and XT. - Nov. 11, 2018, 7:14 a.m. I'm 200lbs ready to ride and I have only noticed stiffness issues with some carbon wheels and some 35mm carbon bars. Both of which can degrade the ride quality by transmitting more vibration than less stiff alternatives. As far as cranks go I have over 5yrs on Next SLs with no issues and just got a set of Next R's at the start of this summer. The cranks and RF's BBs have worked well for me both threaded and PF varieties. I just got a Boost bike and can't tell any difference from my 100/142 bikes that I can trace back to the wider hubs. I'm shopping for a hardtail at the moment and I am doing my best to find one with a pleasant amount of flex for my weight/power and avoid an overly stiff frame. Re: Rear tire recommendations for wet weather North Shore riding - anything better than Maxxis DHR II. - Nov. 9, 2018, 6:34 a.m. I've run the 2.4" Conti Trail King as a winter tire the last 6-7 years on Van Isle. Great traction. Rolls fast. Re: long travel wagon wheelers - July 28, 2018, 7:19 a.m. I had been wanting a 29er for a few years. I demo'd a bunch of bikes and remained intrigued, but never managed to settle on a wagon wheeler that checked all my boxes. So I bought a couple 275ers and rode those. Fast forward 5yrs and I stumbled across Guerrilla Gravity bikes. They look great. Have all the features I wanted and my 29er stoke was high so I pulled the trigger. 3 months in I'm really happy I made the choice. This bike was fun from the first pedal stroke [unlike my 29er demos] and has exceeded all my expectations. I knew it would be a great a descender, but the climbing capabilities of the Smash are a nice surprise. I'm glad I took a chance on GG and finally got a big wheeler. It's been a blast to ride. 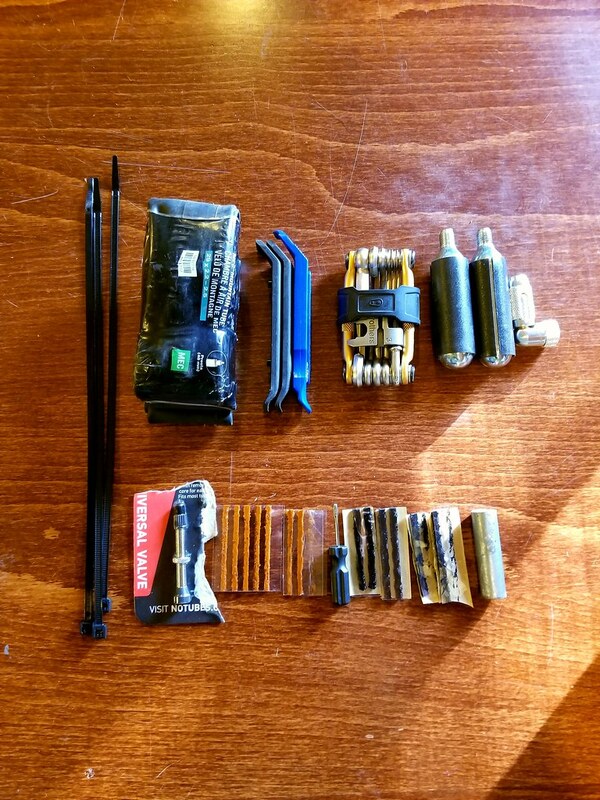 Re: On-Bike Tools and Repair Storage - July 15, 2018, 6:13 a.m.
for you guys that use waist packs...do they ever move around a lot while going through chunder and stuff? Our rides all seem to start with big climbs so the fanny bag is no issue for that and I will empty the water in the fanny pack first so usually when I am headed down and things get zesty the fanny bag is empty or nearly so and I don't even know I have it on. Re: On-Bike Tools and Repair Storage - July 15, 2018, 6:10 a.m. I carry my phone in there...mostly to take photos with. Re: On-Bike Tools and Repair Storage - July 10, 2018, 6:54 a.m.
Semi thread jack -- what fanny packs are people running? Anyone using ones with built in bladder? For longer rides, I have an Osprey hydration pack with a 3L bladder (never use 3L except Chilcotins -- usually 1.5-2L for long hot days). For after work shore rides I am dumb and just carry a multi-tool in pocket and my 500ml water bottle on bike, if I flat I walk/trail run out. Fanny pack with 1L seems like it could eliminate my need for the pack on pretty much all rides. I've tried a number of fanny packs. 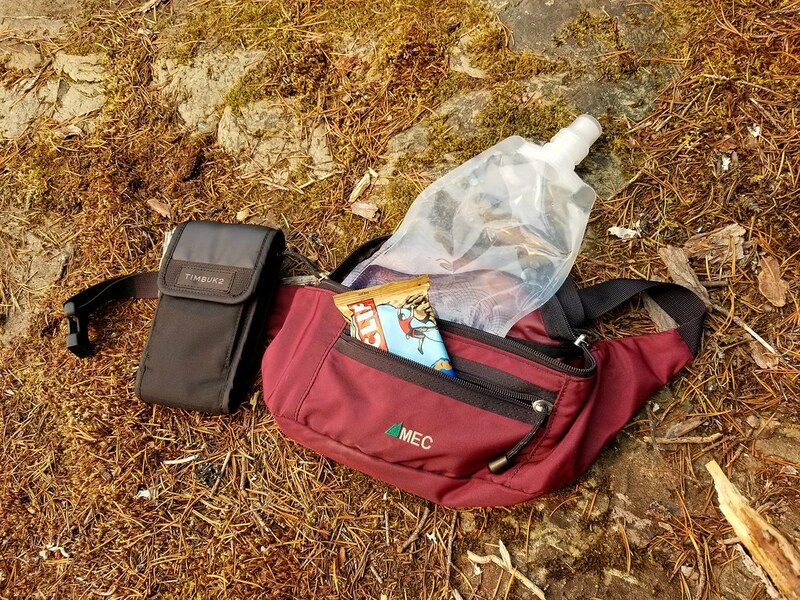 My favourite is this $15 MEC bag. Holds a 1L soft bottle plus a couple extra things. With 500-600ml on the bike plus tools on the bike I rarely need more than this. I drink from the bottle on the bike and refill from the soft bottle in the pack. That means by the time I am ready to get shreddy on the descents I don't have much weight in the fanny pack I don't notice it at all. Re: On-Bike Tools and Repair Storage - July 6, 2018, 6:11 p.m.
My two bike storage setups. Upper bike I can ride without a pack up to 4hrs in the summer and longer in the winter. Lower bike I add a 1L soft bottle in a $15 MEC fanny pack for rides over 2.5-3hrs in the summer. I carry my full tool/spare/pump on the bike. Crazy thing is I help folks with hydro packs fix their bikes all the time. In theory they have all the cargo capacity to carry tools/pump/spares....but seemingly they don't. I have since ditched the CO2 for a pump and added a derailleur hanger. I'll often throw $20 in there for emergency pub money. I carry basically the same items on both bikes. On my Knolly my pump is external so it does get a bit dirty. I was going to put it in plastic bag at work and seal it, but I keep forgetting. Porcelain Rocket under DT bag is 6-7 years old and going strong. Contents stayed dry all winter despite splashing from front wheel. Only getting one bottle on the bike is less awesome than the GG, but still it's enough for 80%+ of my rides. 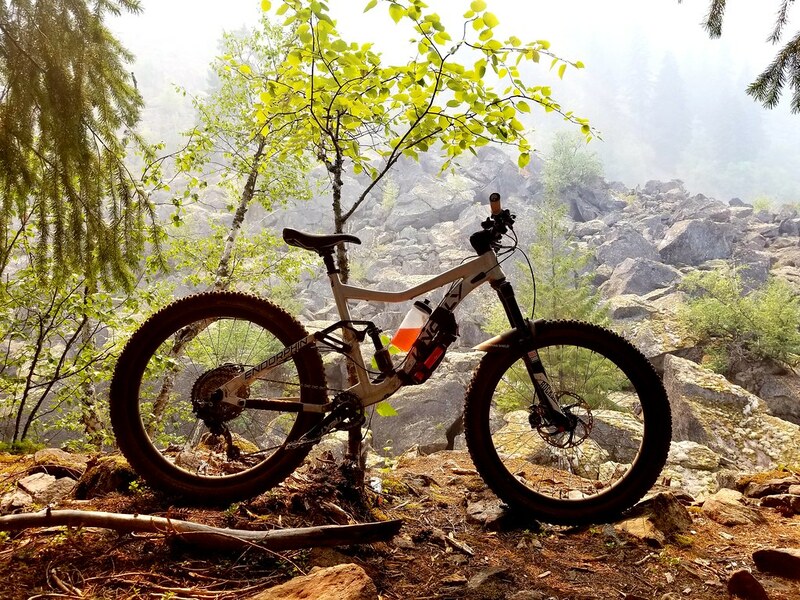 Re: ebikes on the Shore - May 26, 2018, 9:28 p.m.
Pemberton banned on non-motorized hiking and biking trails. Well signed. 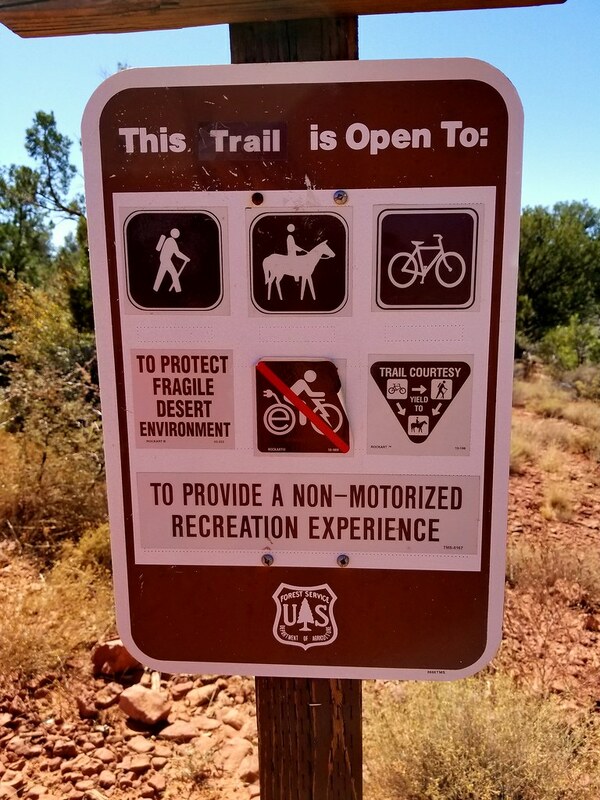 Cumberland banned on MTB trails. I didn't check the signage. Victoria area CRD MTB trails are banned. Not signed. Okay on Regional Trails - ie. the Goose and Lochside, etc..